 Welcome to the 2018 AVID Australia Summer Institute page. Here you will find all the information to plan and register for this year’s Summer Institute. We invite all AVID schools to join our growing community for AVID Australia’s premier professional learning event. Summer Institute uses a full immersion model of professional learning. 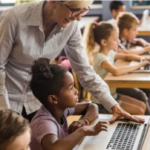 Teachers get the opportunity to become students in a class, so they can experience and experiment with a number of explicit teaching strategies from the students’ perspectives. Participants are assigned to a single strand over the course of three days. On days 2 and 3, times are scheduled to meet with members from your school to reflect and share the learning from each strand and plan for the following year’s implementation. When: 8:00am Wednesday 5 December – 4:30pm Friday 7 December, 2018. This year’s Summer Institute will be hosted at a new venue, with a new format for the Opening Session, an adjusted schedule and several strand changes. Venue: We have a new venue!! Victoria University is proud to host the 2018 AVID Australia Summer Institute at our Footscray Park campus. Schedule: Timing for each day has been adjusted to allow for extra travel time, so please consider that when you are booking accommodation. 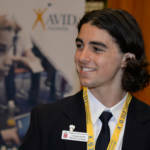 Opening Session: Summer Institute is a unique event in the AVID calendar as it brings together teachers from every AVID school around Australia. We have listened to request from the AVID community about how we can create an additional networking opportunity for teachers at Summer Institute … and we think we have found the answer. Instead of having our Opening Session at the start of Day 1, we will shift it to the end of Day 1, followed by an hour of networking drinks and nibbles. Sound good? … We thought so too. Strands: A total of 18 strands will be available for selection this year. Five of those strands will be offered for the first time and three strands have been extensively revised. See the 2018 Strand Guide for further details. Registering for the AVID Australia Summer Institute 2018 is a simple process. The AVID coordinator or a nominated representative is responsible for submitting the registration form for all staff members attending Summer Institute. This year, the registrations for Summer Institute are to be submitted via our new online registration form. Please follow the instructions below. Enter your school details, including your contact details and finance contact information. Click on the yellow ‘add entry’ button to add a new participant. Please specify the strand preferences (you must include two preferences for each participant), an email address and food allergies for each participant. Ensure each participant’s email address has been entered correctly. All Strand related communication and event updates will be sent to each participant. 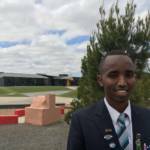 Each participant will be sent login details to the AVID Australia Launches eLearning course. All participants will be required to complete online Launches prior to the event. Your finance contact will be issued with an invoice after Summer Institute. Please read about our refund policy in the FAQs. You will be able to save your progress and return to the registration page to complete your school’s registration later. Once you save your draft, a link will be sent to your email address which you can then access later. Please note that the link will only last for 30 days and that you will have to submit your full entry before the registration deadline closes. We won’t have access to any of your registrations until you have fully submitted your registration by clicking the “submit” button. It’s simple, just submit another form and tick either the “new” button for additional registrants or the “replacement” button for substitute registrations. Please note: Only licensed AVID schools and schools who have committed to start implementation in 2019 are eligible to attend Summer Institute. 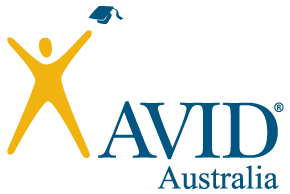 If you would like further information about how to become an AVID school please contact AVID Australia (AVID.Australia@vu.edu.au). A full refund will be issued if you need to cancel your registration 14 days before the event. A 50% refund will be available if you cancel your registration up to two days prior to Summer Institute. We are unable to provide refunds for cancellations less than two days’ prior to the event. In the event that a participant is unable to attend Summer Institute due to unforeseen circumstances, their registration may be allocated to another staff member. See instructions above for adding and substituting registrations. Strands require a minimum number of participants to run. Once a strand has been filled, it may not be possible to add further participants to that particular strand. Therefore, we ask that each participant nominate two strand preferences on their registration form. Every effort will be made to place participants in their first strand preference, however, room capacity may limit the number of strand participants. Our advice: register early to secure your preferred strand. NB: Critical Reading, Maths 1 and Science 1 may also be taken by upper primary teachers. Primary Maths K-6 is also suitable for year’s 7-8 teachers and similarly Bridges to Success – A Schoolwide Approach is suited for years 5-7. For more information on the strands that will be on offer this year please consult the 2018 Strand Guide. For further advice, do not hesitate to contact AVID Australia. Once a school has registered their participants for Summer Institute, the participant will be sent login details to access “AVID Online”, the online eLearning platform for Summer Institute participants. “AVID Online” allows participants to access the Launches for their nominated strand. 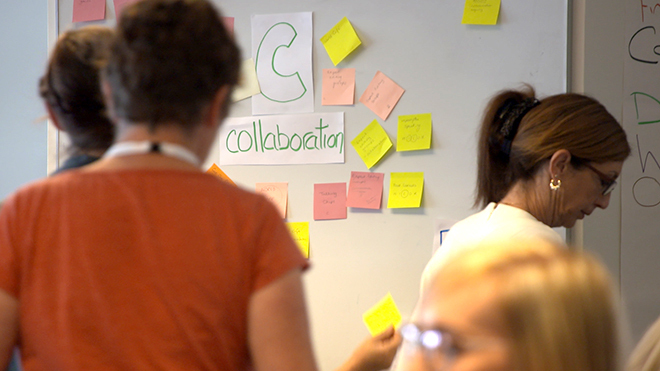 The Launches are a series of videos and interactive activities that are referenced and expanded upon during face-to-face sessions at Summer Institute. All participants are expected to complete their Launches prior to attending Summer Institute. This year’s Summer Institute will be held at Victoria University Footscray Park, which is located on Ballarat Road, Footscray 3011. Use the PTV Journey Planner to plan your trip by public transport. Footscray Train Station is the closest station and a 15-20 minute walk to the university. There are also buses and trams available. A Myki Card costs a minimum of $6 and your daily fare will amount to $6.30. Metered street parking is also available nearby, but note the time limits and clearway restrictions. Please refer to the Melbourne Airport website for further information. Victoria University Footscray Park is located in Melbourne’s western suburbs, twenty minutes from Melbourne CBD. For information on accommodation both close to the university and the CBD please consult the accommodation guide below. 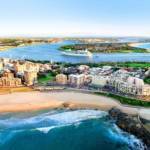 Click through to the Accommodation Guide.  For further information regarding Summer Institute, please contact the AVID Australia events team at (AVID.Events@vu.edu.au).